When you’re looking for a used vehicle to drive, the number of models to choose from is extremely important. 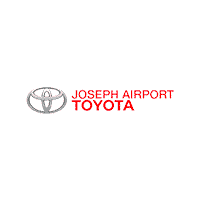 Let our team at Joseph Airport Toyota show you the vast inventory of used Toyota models we offer for you to have the selection you’re looking for when you want the right model to drive on the roads around Dayton, OH. We are the full-service dealership that has more of what you want. When you’re looking for the right used vehicle to drive, you can stop by and see some of the small, side of the road locations that offer you as few as a dozen vehicles to choose from, or you can visit a dealership that has more. We have more of the used Toyota vehicles you want and when you visit our dealership location, you’re going to see the great selection that is available on our lot. If you’re looking for an impressive model to take out for a drive that has a great low price, you need to see our used Toyota location and let our team help you today. We’re going to be glad to help you find the right model that fits your lifestyle and your budget. Our team, at Joseph Airport Toyota, understand that you have a choice that you can make when you’re ready to buy your next used vehicle. Because of this, we make it our priority to let you have the best experience you’ve ever had when shopping at a Toyota location near Dayton, OH. We are your smart choice when you’re looking for the right used model to drive with an amazing warranty, the selection you want, and the pricing that will give you the vehicle that’s right for you to drive for work or play. Do you like to be told yes? Of course, you do, we all do, and that’s why we have the Yes Plan that can be offered to you. If you choose one of our certified pre-owned used Toyota models to drive that meets specific a criterion, you’re going to have a warranty that can’t be beaten. This warranty gives you lifetime powertrain coverage to make sure the vehicle you drive is going to perform for you. Ask our team about the different models that fall into this category so that you can have the right vehicle to drive. Do you know how you can save money, have a fantastic used vehicle to drive, and enjoy the best warranty in the business? Our team at Joseph Airport Toyota knows how you can have all these things. Stop by and talk to one of our friendly sales team members today. We have used models from every brand to give you several choices that you can make when it’s time to have the drive you’re looking for and the qualities you want when it’s time to have a vehicle that can get everything done you need to on a daily basis. Which Used Toyota Will You Choose? With the huge inventory of used Toyota models that we offer here at Joseph Airport Toyota, which one will you choose? Will you choose a sedan for your commute? 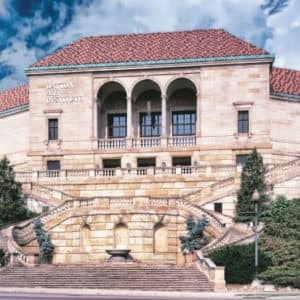 Maybe you will pick the Sienna so you can load up the kids and head to the Dayton Art Institute to take in some beauty. Whichever model you pick, we give you the Joseph Airport Toyota YES Plan so you can take on your drive with confidence.